In Chains of Dew, Glaspell pillories a self-important poet, Seymore Standish, through a marvelous trio of women characters: Nora Powers, his suitably named girlfriend; Dotty, his wife; and his mother. Seymore lives a double life, spending part of the year as a Greenwich Village bohemian and the other part at home, living a typically bourgeois life in the Midwest. Tired of his constant complaints of being burdened by his marriage and his responsibilities as a breadwinner, Nora herself goes west, only to find that it is actually his wife and mother who feel stifled by him and his need to be needed by them. With hilarious results, Nora and Dotty join forces to establish the first Midwestern branch of the Birth Control League in the Standish’s living room. 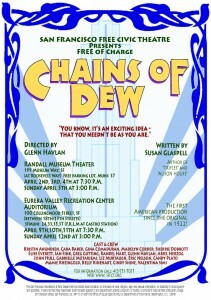 Of special historical and literary significance, Chains of Dew examines the changing roles of American women in the first two decades of the twentieth century, focusing on gender ideology, differences among women (age, class, and occupation), marital relations, reproductive freedom, and the artist’s role – ideas that were crucial in 1922 and are still relevant today. 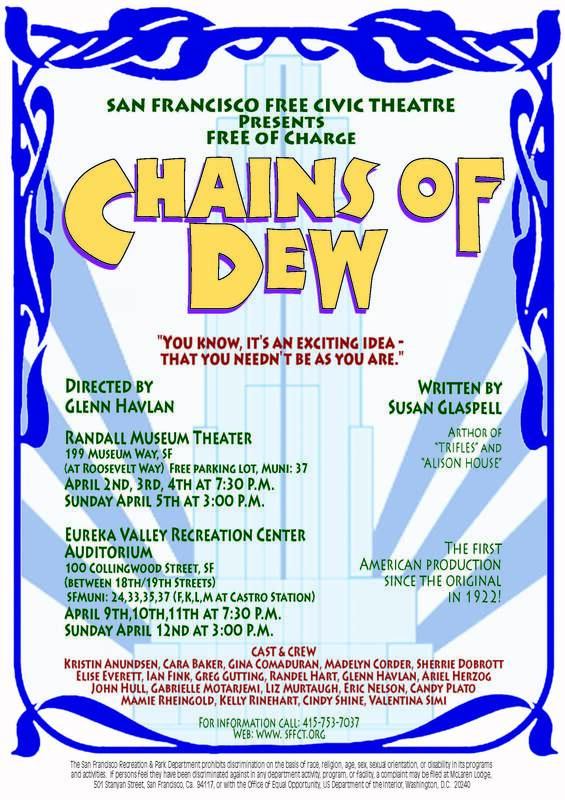 The Susan Glaspell Society is pleased to make available an abridged version of Susan Glaspell’s play, Chains of Dew, adapted and with a prologue by Cheryl Black, Associate Professor & Director of Graduate Studies, Department of Theatre, University of Missouri-Columbia. 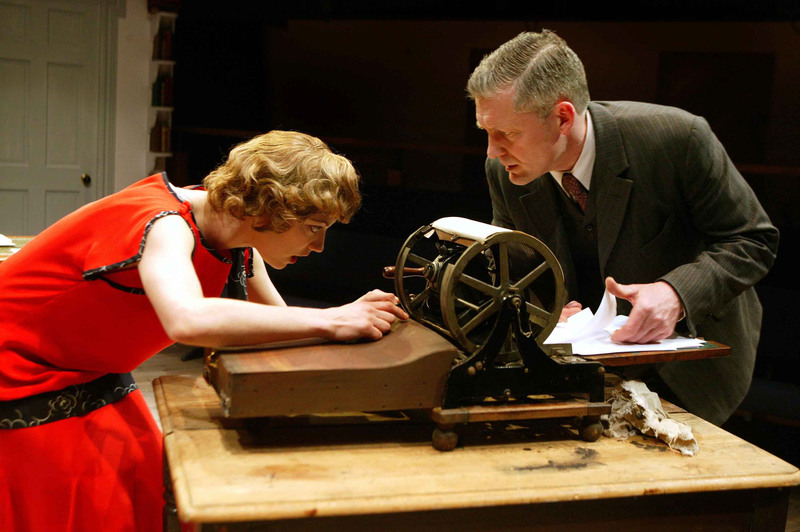 This entry was posted in Chains of Dew, Performances on May 17, 2008 by Martha Carpentier.